A native of Queens, New York, DJ Envy was tutored by neighborhood acquaintance DJ Clue?, who introduced him to the mixtape circuit in the mid-1990s. He quickly climbed up the ranks, and by the early 2000 he was peddling the latest freestyles and exclusives for big-name rappers like Jay-Z, 50 Cent and The L.O.X.. Since his reputation was so esteemed, DJ Clue signed him to their affiliate label Desert Storm Records. In 2003, he released his commercial debut album entitled The Desert Storm Mixtape: Blok Party, Vol. 1. Envy's big break on the radio came when he mixed once a month for Hot 97's show called "Takin' it to the Streets", hosted by Angie Martinez from 12:00 am to 4:00 am, but later filled in when Angie Martinez got pregnant. He then co-hosted Hot 97's morning show with Miss Jones from 6 am-10 am daily. His run on the morning show ended in July 2008 when Miss Jones moved to Philadelphia. Envy spun on his own mixshows on Hot 97 called "The People's Mix" on Saturdays from 12:00 pm to 2:00 pm and "The People's Choice Hit List" on Sundays 5:00 pm to 8:00 pm. He had a segment on Hot 97 titled "New at 2", where he played the newest hits from 2:00 pm to 2:30 pm. He hosts Hip-Hop Nation's afternoon show on Sirius XM Radio on weekdays 5:00 pm to 10:00 pm EST and on weekends he used to do a show from 2:00 pm to 6:00 pm on Power 105. On Monday December 6, 2010, DJ Envy, Angela Yee and Charlamagne Tha God began hosting the morning show on Power 105 as The Breakfast Club. He feuded with DJ Drama but they reconciled, live, on The Breakfast Club. 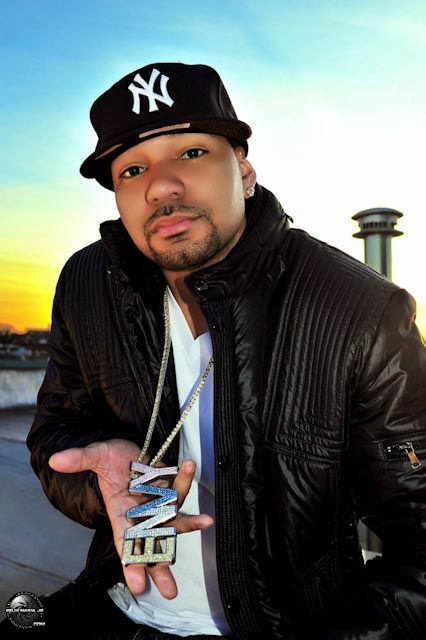 Envy has made appearances on Juelz Santana's and Lloyd Banks's music video "Beamer Benz Or Bentley" and various television shows, such as 106 & Park, Entourage, and Tha Corner, which he hosts on the Music Choice channel. He was featured in the 2006 film Blood of a Champion, credited as Shadow's enemy friend. He also appeared in The Raw Report of Gucci Mane documentary. On March 21, 2010, DJ Envy took over as host of MTV2's Sucker Free Countdown.